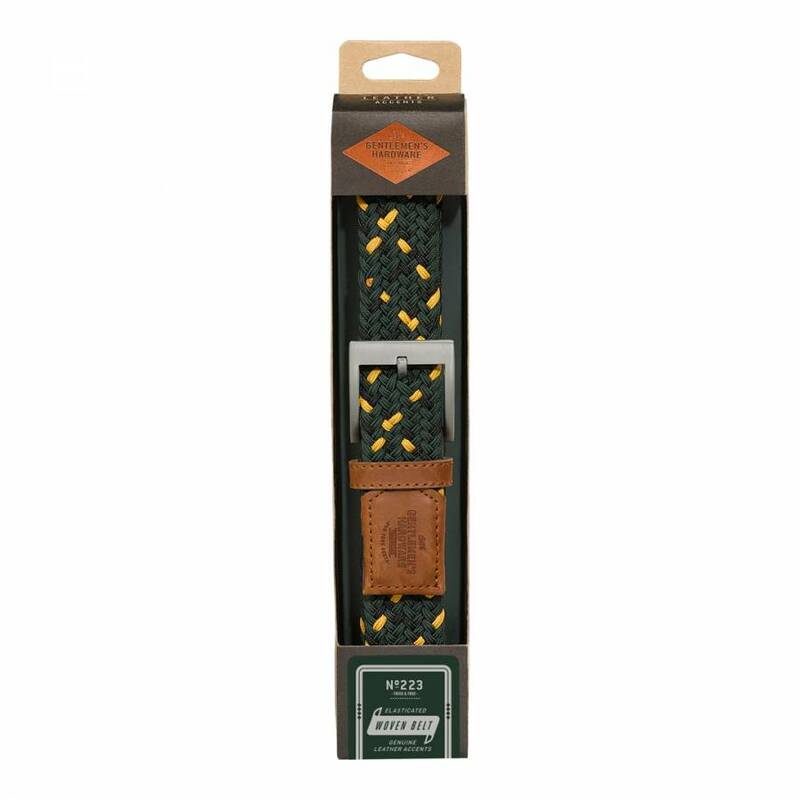 Buckle up with the Gentlemen's Hardware Woven Belt in green. This lovingly crafted, elasticated woven belt features a unique nylon pattern with no holes to find, so the ideal fit can easily be achieved! 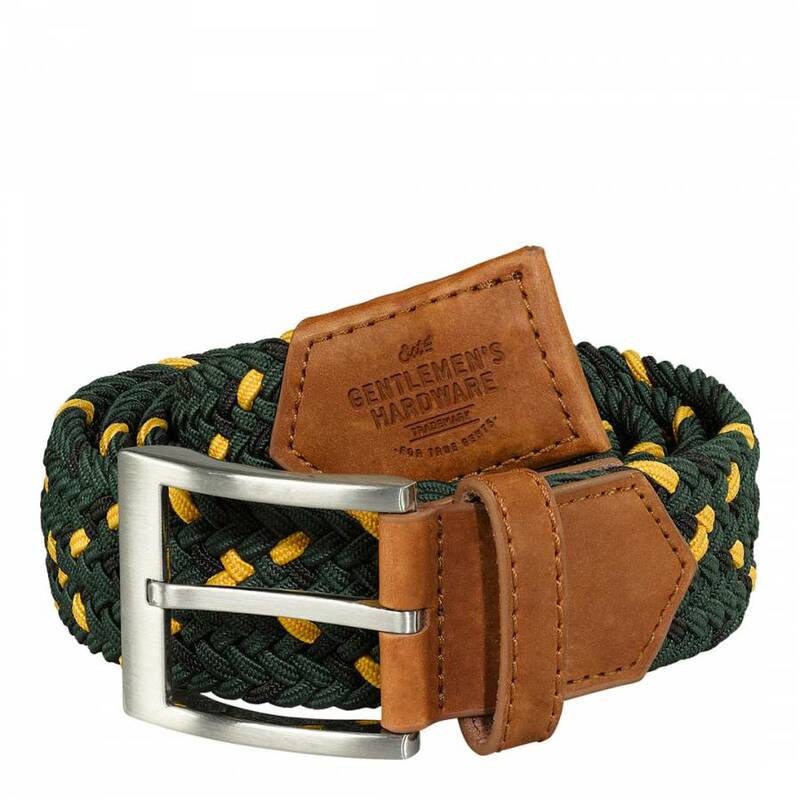 The belt is completed with a brushed stainless steel buckle and genuine leather accents including embossed Gentlemen's Hardware ends. A perfect complement for the denim jean or more casual attire, the practical, on-trend accessory adds style to any outfit while helping trousers fit comfortably.